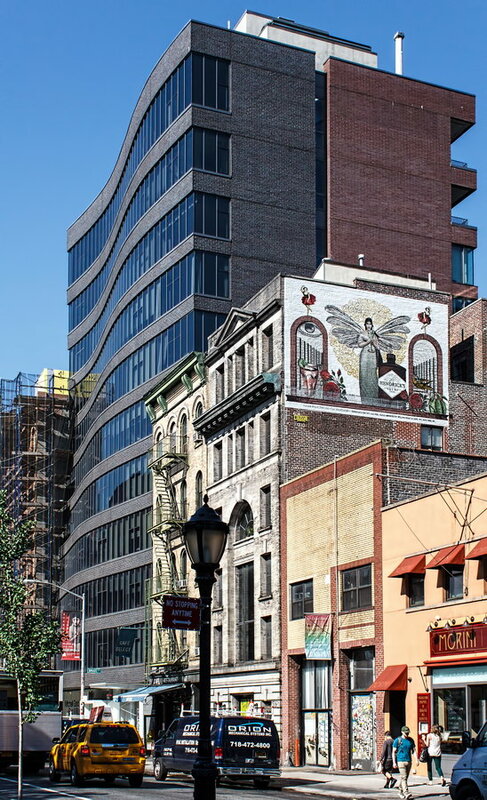 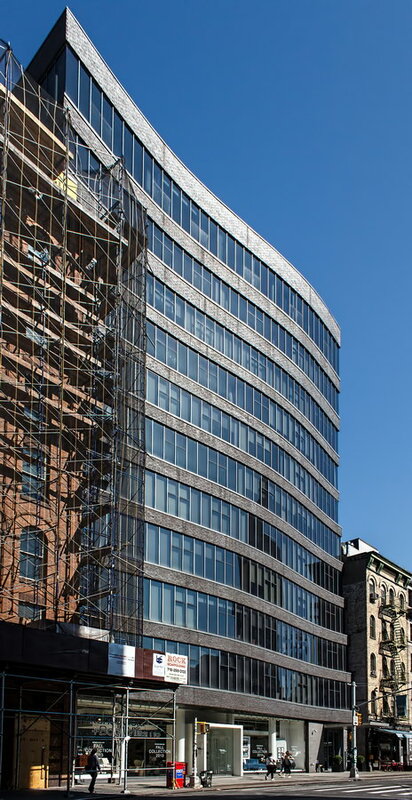 February 20, 2015 Manhattan2005, 210 Lafayette Street, apartments, Gluckman Mayner Architects, lower manhattan, Manhattan, New York City, postmodern, residential, SoHo. 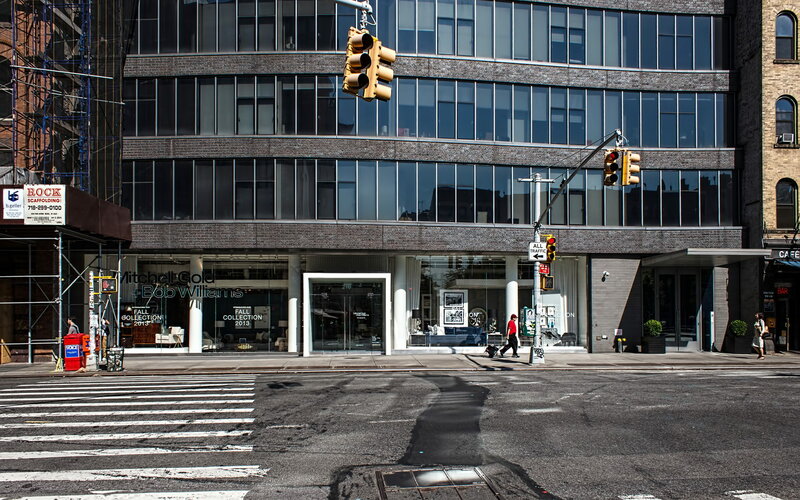 Except for the undulating Lafayette Street facade, the design is minimalist: No decoration softens the industrial-grey brick. 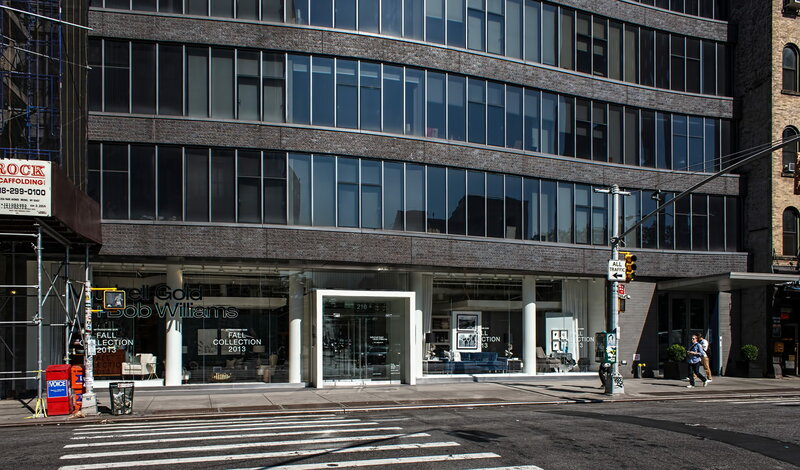 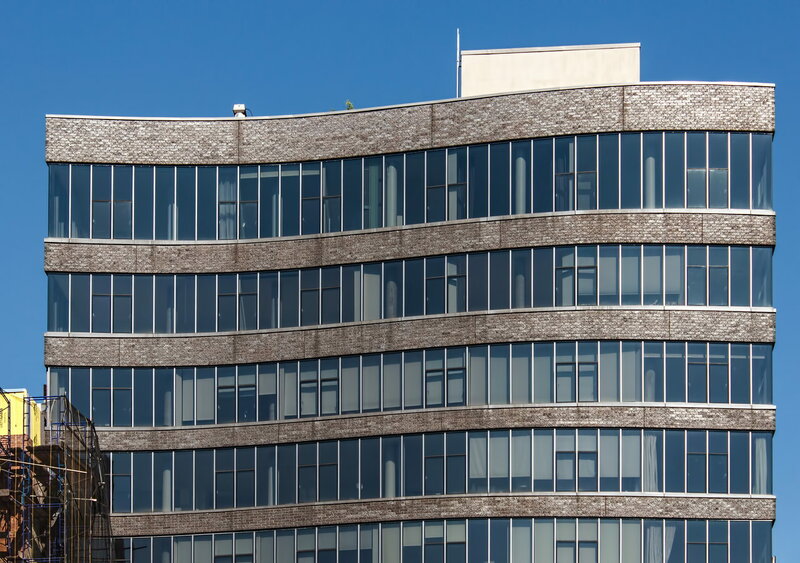 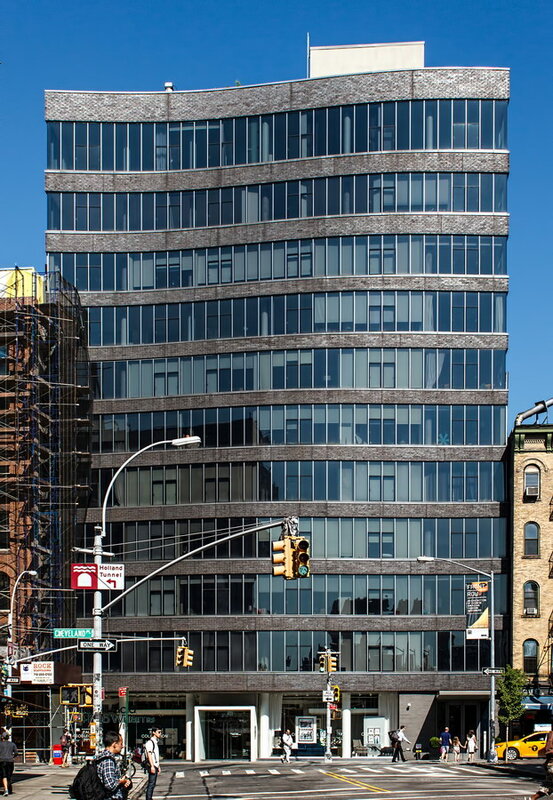 The ribbon windows are reminiscent of the Starrett-Lehigh Building (warehouse/office complex) in West Chelsea.